I have put in a string of late work nights which has left me somewhat disoriented. Full on writing on Beginning WebGL for HTML 5 continues while I am working my normal hours during the day. I finished another chapter this morning (the first draft anyway) and it feels good whenever I put the initial ideas for a chapter through to a cohesive state. It is worth the effort. For me work and music go hand in hand. A great band that I am only now discovering is Wolf Parade. Here are two songs of theirs that I think are great. Here are two images of my desktop computer setup. It took me a few months to get all of the components, but since a large portion of my time is spent here, it was definitely worthwhile. 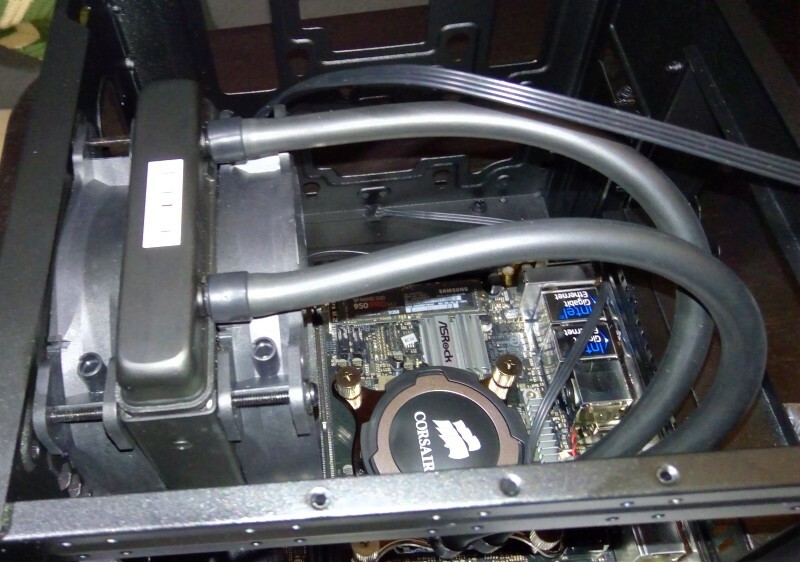 My vision when buying the components was to focus on ergonomics (no cheaping out on this cost) and not buying a cutting edge system (saving some money here). A good chair is very important and lasts years. In comparision, a very powerful computer system is obtainable for around $600 and will be near obsolete soon enough. The setup is great. One thing needs to be done still - a modification of the desk to accomodate the monitor stand pole. I assumed it would fit in the natural desk hole. But it does not. Hence the current makeshift board mounting seen in the first image. As a programmer, I use my laptop when on the road or when I need a change of scenery and want to work in a different room for awhile. One issue with this is it produces a problem of knowing which machine development files are on and creates work in manually copying/moving files. I have found a nice solution to this, involving git and windows live mesh. Now that I am a freelance worker, I have much more control over my working environment. This can mean many things such as noise level, distraction, human interaction, daily routine, equipment and clients. The proper atmosphere can make a huge difference. This is something that I know all too well. I have worked for one company which had a very cheerful environment. Music always played, people were friendly and very sociable. That was great, but it was also very hard to get work done. The constant carnival environment provided distractions and led to unnecessary pressure when crunch time came. I have also worked for a company that had the opposite problem. There was a quiet environment provided, but it was too much quiet. The place felt eerie, sterile, inhumane. It lacked personality. Naturally, I am striving for something in between. No one knows your ideal work environment and preferences better than yourself. Some people can not work with any distraction, others thrive. Still others like a bit of background music. This is just one metric of office satisfaction. The more people sharing the same office space, the less likely that everyone is or could be satisfied. The philospher Sartre said "Hell is other people", while it has been said that "No man is an island". Working by yourself is not for everyone. Though developers are generally fairly intrinsic and introverted, we are people nonetheless. To compensate for the removal of office banter, I plan to attend a few large conferences this year - I went to OSCON in July and it was a very positive experience. I also plan on going to more local events - professional related and non-professional ie) music events, joining a club, going to the gym, maybe try my luck at standup comedy, etc. It has also been my fortunate experience in the last year to find that remote communication can actually be much more open and cordial than a local office environment. I just turned thirty, and have had back issues for a few years. I know that one of the main reasons for this is that I spend many, many hours hunched over a computer. At past jobs I did not always have great office equipment. Sometimes I had downright awful equipment. An ergonomic desk setup is essential to the profession I am in, or any profession that involves sitting at one. 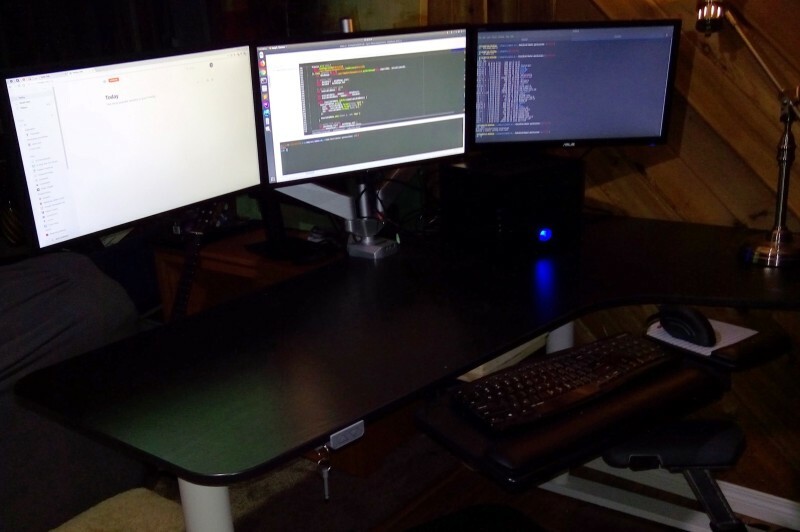 I have dual monitors with an adjustable stand and am getting a good office chair soon (something that I am excited about). Picture to follow in another post. It is very easy to make a fresh, simple meal at home while working. I have a fridge and oven right by the office. No more wasting 20 minutes in traffic to pickup something to eat. At the same time that I am freed from monotonous local travel, I am free to do more long distance travel. I could ssh in from anywhere and get my job done. I am very pleased to announce that I am now my own boss! 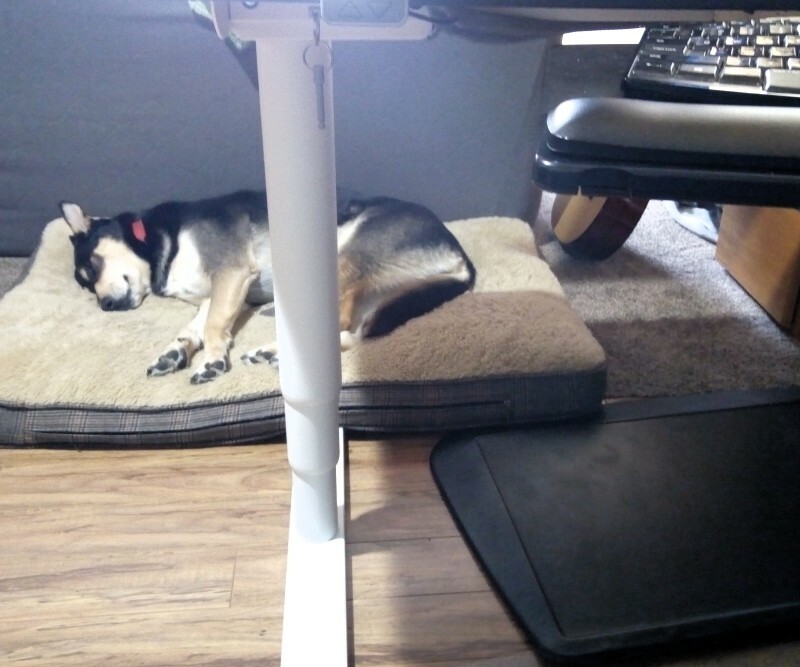 I have received a business license to work from home and have two very good clients. This is something I am very excited about and so is Tressa. I have done a lot of research into tax information, accounting, the whole rigamarole and know that it is not only a viable option, but actually should increase my earnings and flexibility. I know that I have the discipline and skill necessary to be successful on my own business. Will keep you posted on further developments.